AVAILABLE for purchase NOW in My Etsy Shop!!! 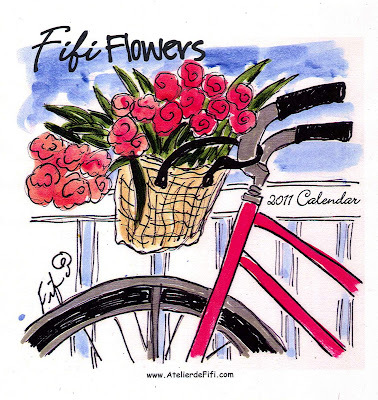 If bicycles are not your thing... there's always Paris... and if that's not it either... suggestions are welcome... OR email me about a CUSTOM Fifi Flowers calendar!!! Different but none the less wonderful. SO pretty! My mum is going to LOVE this! Oh my goodness I love the calendar. Traveling by bicycle ofcourse. What better way to see the beautiful country side. 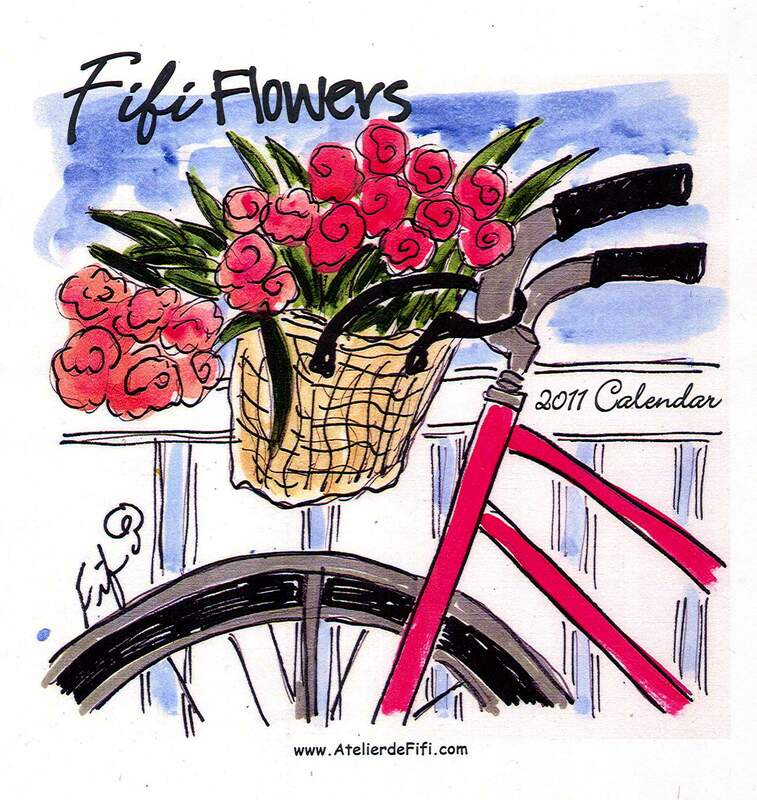 I love red and this calendar sure shares my love. I can see myself riding along feeling the country air, ringing my bell at passer bys and enjoying the beauty of France. I love flowers and ofcourse what better way to carry home than my basket. 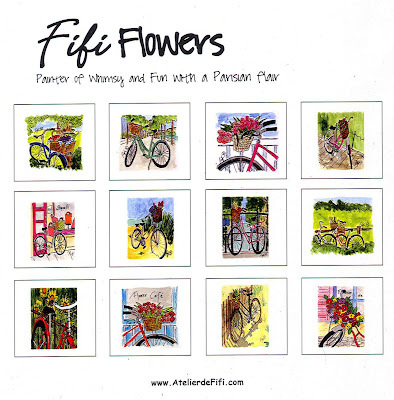 Oh FiFi, what fun I have had pedaling today. I thank you sweet friend for taking me to a beautiful place, in another country, far, far from home, but so close in my heart when I only but pop over for a visit. You so brighten my life with beauty sweet friend. Have a beautiful day in colors. Just love it! You did a beautiful job on the paintings as well as the booklette. 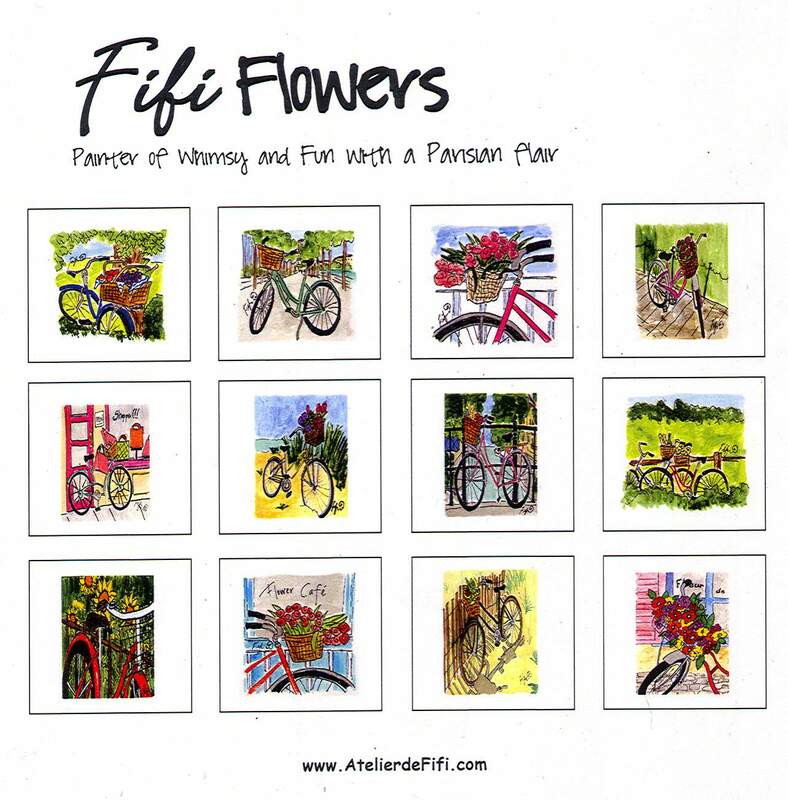 Love all those great bicycle paintings!